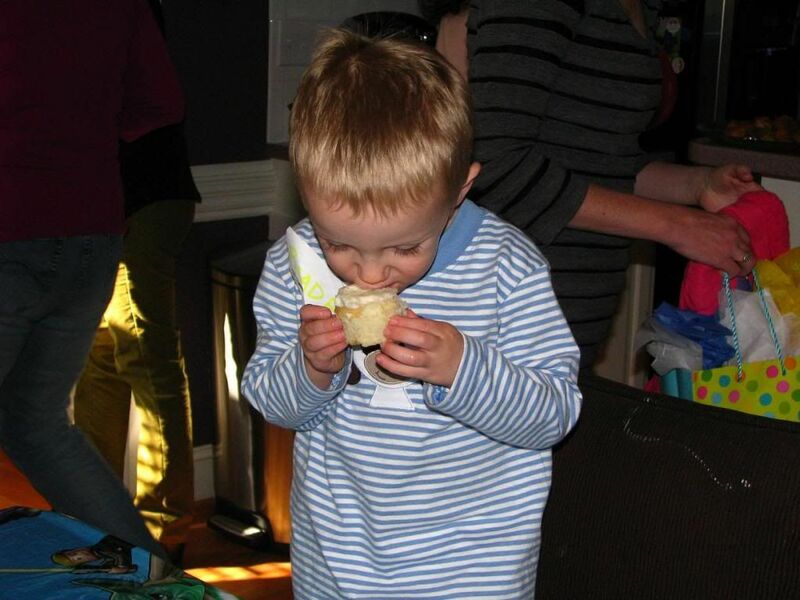 Our Sweet Love Story: Cousin Reade is 3 -- Celebrating Like A Jedi! Cousin Reade is another big Star Wars fan so there was no question about what kind of birthday party he would want this year. Well, actually, he prefers the "darker" side of Star Wars and is a big fan of Darth Vader and Darth Maul. Haha! 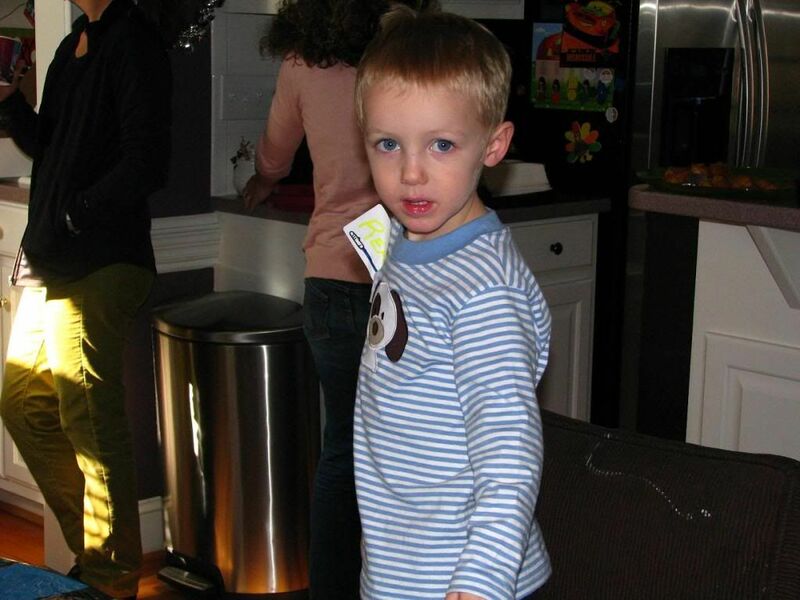 He is such a funny little guy, and we just love his little quick wit and sense of humor! Like when he started potty training at school a few weeks ago, and when his Mommy asked him at home when he wanted to use the potty again, he said very matter of factly "Tuesday." Haha! 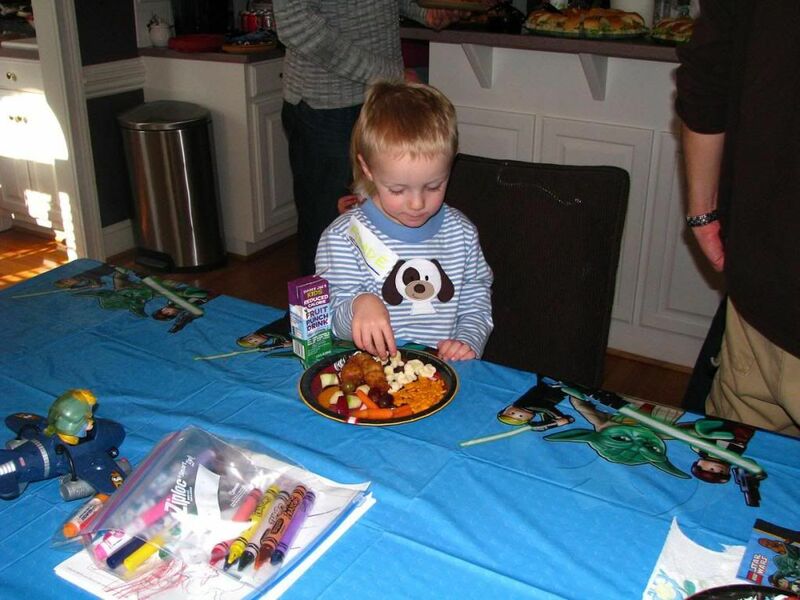 The birthday boy enjoys some yummy snacks. 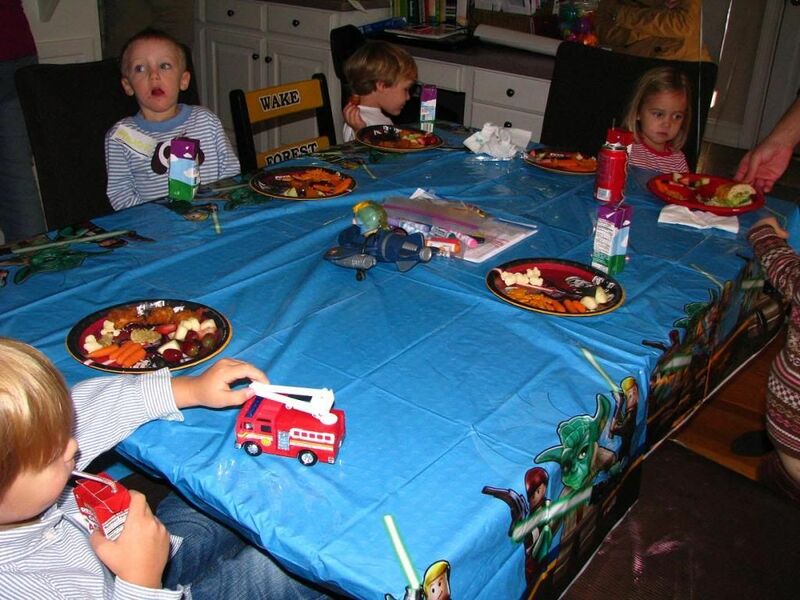 Many of Reade's little school friends came to his party. 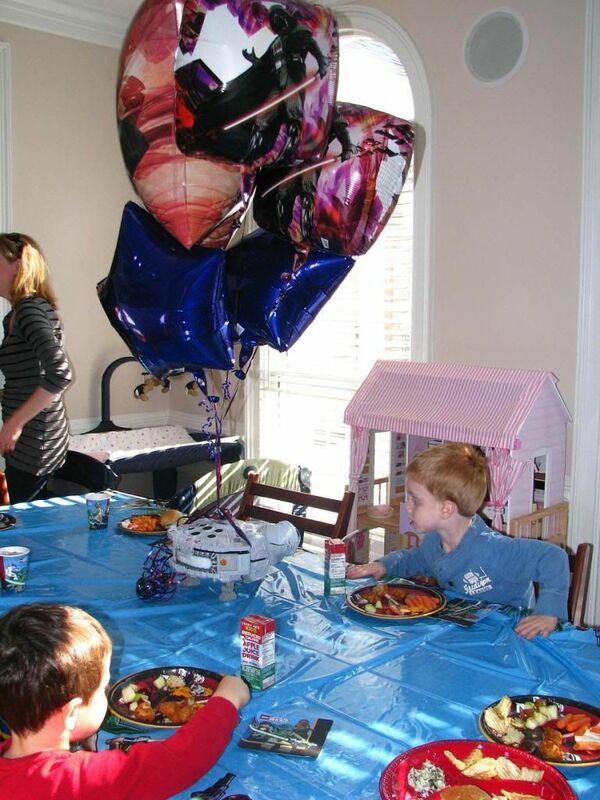 Evan really liked Reade's Star Wars balloons and centerpiece. 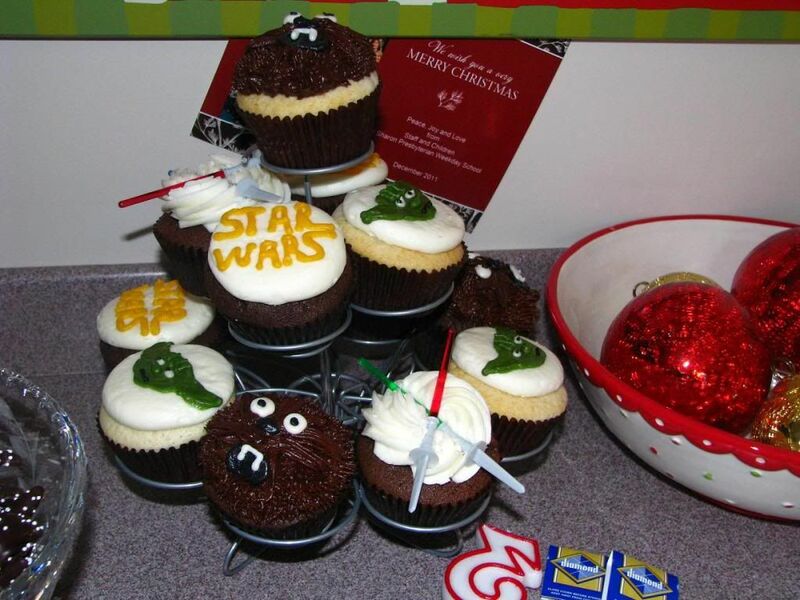 Reade's Mommy got some cute and yummy Star Wars cupcakes with Yoda, Chewbacca, and light sabres on them. 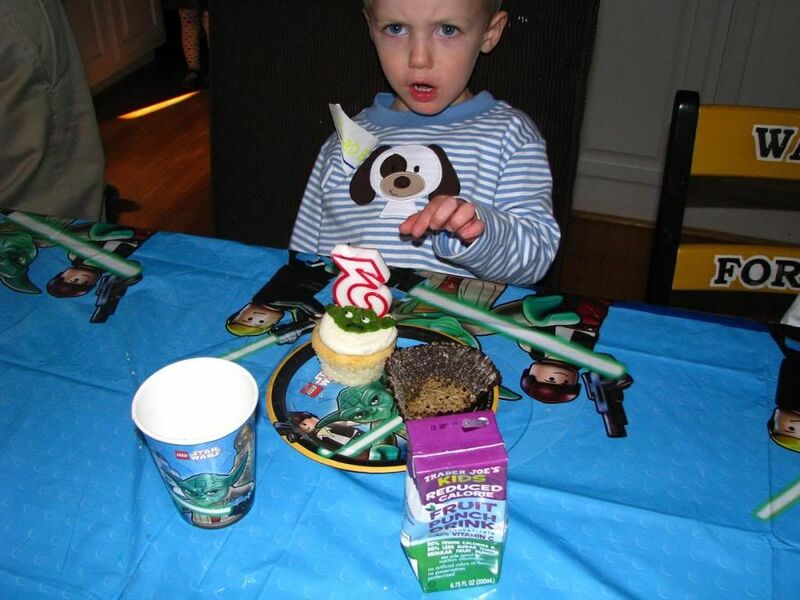 Little Yoda gets a Yoda cupcake. 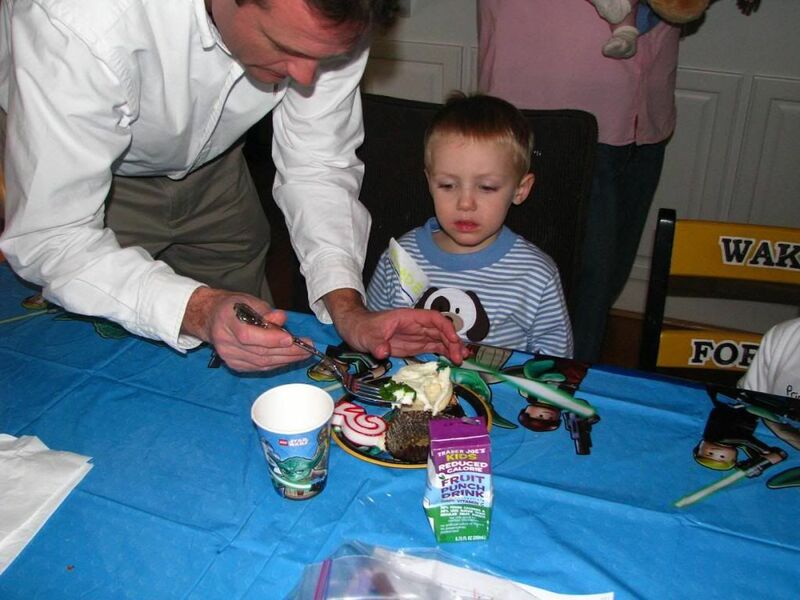 Reade's Daddy had to surgically remove Yoda from Reade's cupcake because he didn't want to eat him. 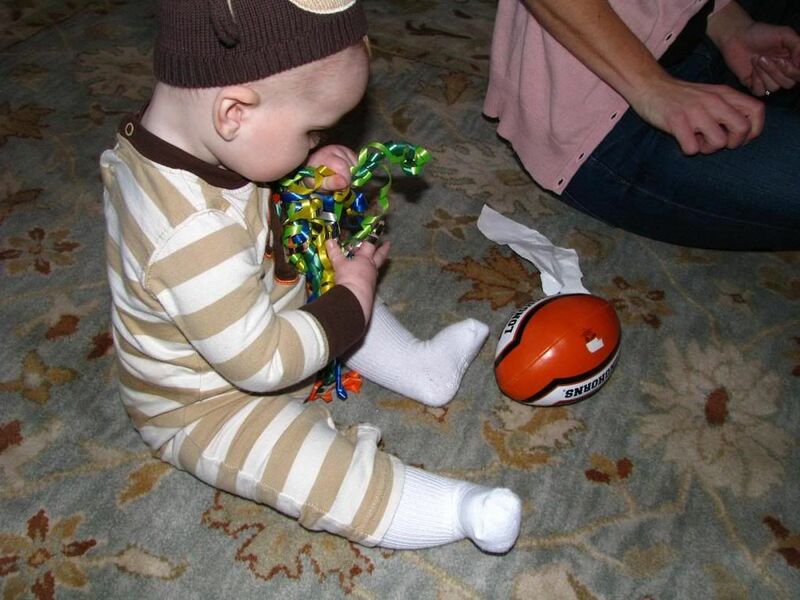 Happy Birthday, Big Cousin Reade! 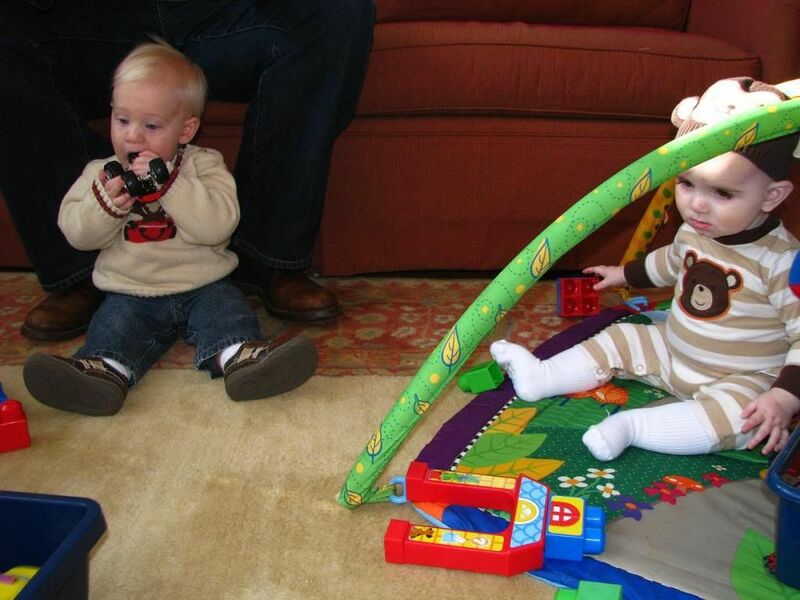 Brody made a new friend at the birthday party too. Brody really loves wrapping paper and bows...Christmas is going to be so fun!